The workshops focused on laboratory quality and accreditation. Speakers included leading figures from renowned UAE and US organizations. Unique opportunity to hear from leading international experts at the forefront of clinical and laboratory guidelines. National Reference Laboratory (NRL) hosted leading figures within the international pathology sector for the third time. 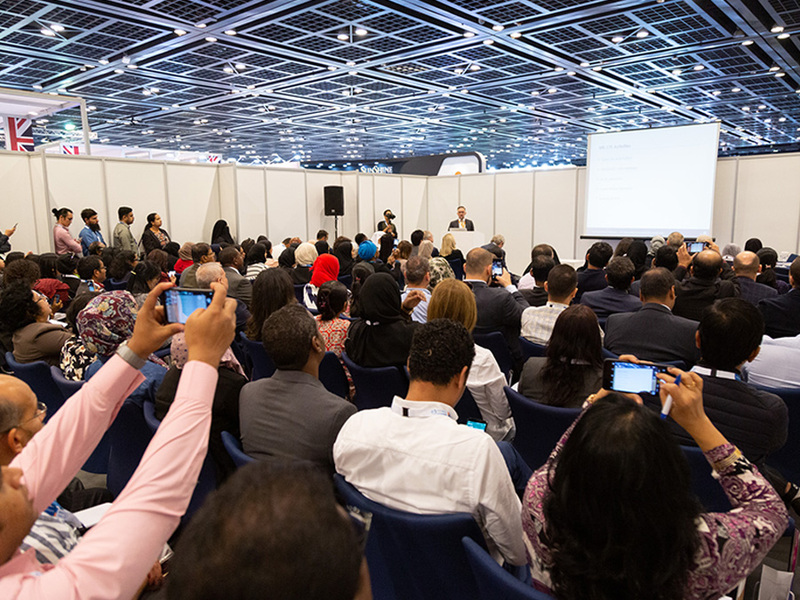 Those international experts presented to packed audiences during two professional workshops organized by NRL during the MEDLAB Congress 2019, which ran from 4 to 7 February in Dubai World Trade Centre. International speakers included Clinical and Laboratory Standards Institute CEO, Glen Fine, and President-Elect of the College of American Pathologists (CAP), Dr. Patrick Godbey. They were joined by UAE-based experts, including Dr. Qasim Humoud Al-Shamsi, Deputy Head of Laboratories Accreditation Section at the Emirates International Accreditation Centre; and Dr. Walter Bich, Technical Assessor, Emirates International Accreditation Centre. NRL hosted one workshop on laboratory quality management on the 5th of February, sharing practical solutions for common accreditation deficiencies, an overview of the guidelines of quality control, and the principles of managing proficiency testing errors. And one workshop on laboratory accreditation on the 6th of February, providing an update on laboratory standards, accreditation requirements, and the regulation and challenges facing the medical laboratory professionals. The workshops, which were hosted by NRL on a complimentary basis and granted four Continuing Medical Education (CME) points, are a regular highlight of the annual event. And both workshops welcomed +150 attendees included Medical Technologists/Technicians, Pathologists, and Laboratory Scientists.